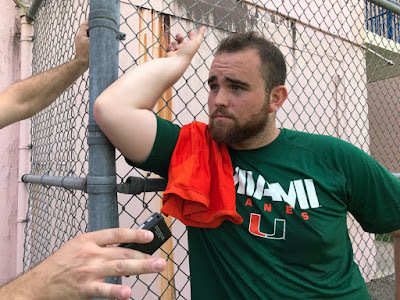 Shirts With Random Triangles: Nick Linder is an ex-Miami Hurricanes center. The Palm Beach Post noted that Linder has been dealing with ongoing issues with his shoulder dating back to 2016. He say playing time in 26 games in the past three seasons with Miami.